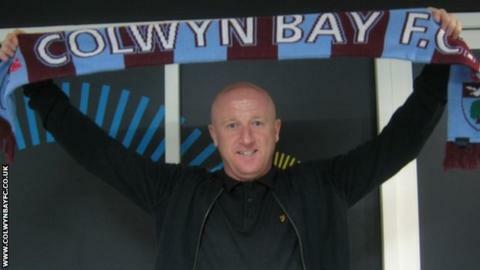 Evo-Stik Northern Premier Division strugglers Colwyn Bay have sacked manager Kevin Lynch following Easter Monday's 3-0 home defeat to Marine. The former Chesterfield first team coach replaced Ashley Hoskin as manager in October 2015. But the Seagulls managed four league wins under Lynch and are nine points from safety with eight games remaining. "We thought he was the man for the job but unfortunately it didn't work out," Bay chairman Dave Titchiner said. Captain Carl Rodgers and Luke Denson will be in charge for Thursday's home game against Mickleover Sports. Colwyn Bay were relegated from the Conference North at the end of the 2014-15 season.